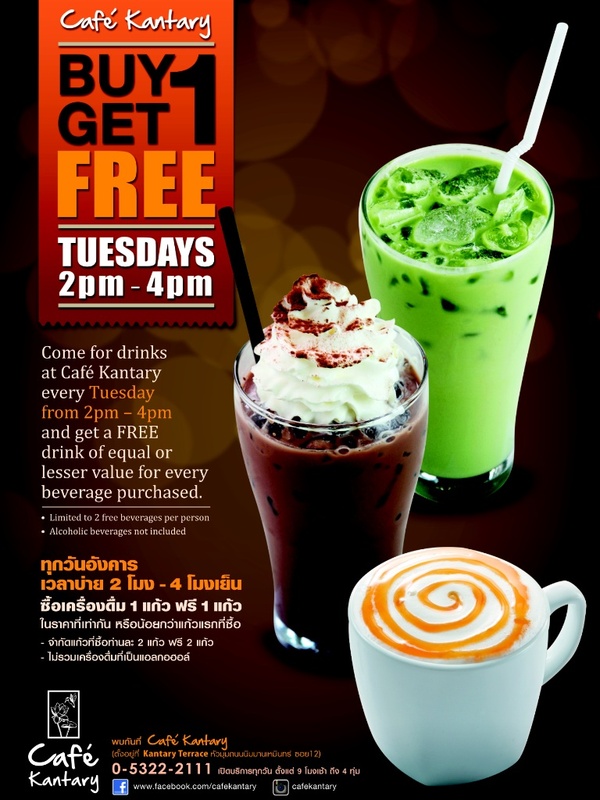 Buy one get one free drinks now at Cafe Kantary! get another of the same or lesser value for free! A great way to stay cool during the summer heat! วันที่ 10 มิถุนายน 2557 เวลา 14:37 น.